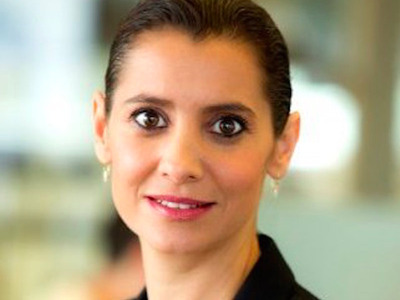 One of the most influential people in Israel’s tech scene just gave an incredibly compelling argument on why her country will breed the next Silicon Valley. It’s all about talent. On stage at the Bloomberg Technology Conference in 2016, Inbal Arieli, vice president of strategic partnerships at Start-Up Nation Central, was asked which places will emerge in the coming decades as the biggest innovation hubs. She conceded Silicon Valley will continue its reign for years to come, though Israel could give it some competition. Arieli has faith in Israel because the government fosters young people’s “soft skills,” such as creativity and out-of-the-box thinking, from a young age. “In Israel, what we see as a very special element, that not all countries have, is the training in the military,” Arieli says. Young people are screened for placement in the Israeli Defence Forces, or IDF, at age 17. Since these high schoolers have accumulated little work experience by then, the military looks for soft skills and potential, according to Arieli. For example, the ultra-secretive Unit 8200 of the Israeli Defence Force produces an uncommonly large number of tech entrepreneurs. That’s because technology developed in the unit is often spun off from the IDF and used in outside companies. There’s also not much of a difference between tracking terrorists and tracking consumers, as Business Insider points out. Arieli served five years in the Israeli Defence Forces, or IDF. As a lieutenant in the elite intelligence unit, she led a team working with technology and also oversaw faculty at the intelligence office’s training school. The company where she currently works, Start-Up Nation Central, is a nonprofit organisation that connects international business and government leaders with Israeli innovators. Arieli says another important ingredient for the next Silicon Valley’s success will be access to capital. Israel is home to more startups per capita than any other country, and attracts more venture capital per person. Now, we wait for the HBO series, “Tel Aviv,” to arrive.